As the mercury rises to amazing heights, the travelers who wanted to venture a little further either trekking trails or off the beaten track, are actually looking for good deals. They are broadening their search with the widest choice of exotic places, but the hefty sum to spend on the accommodation is making them drop off their plans. It’s embarrassing, but don’t get upset. The mobile technology has come to the rescue for travelers. Bingo! Trivago is a great treat for the travelers to compare the hotel price and find which place is the best bet to place this summer season. The company has scored high popularity and profitability since its inception in 2005 and now regarded as one of the world’s largest travel brand that’s generating over $500 million in revenue. The resources report that the company has doubled its profit every year since 2008. The Trivago website search engine was the first of its kind that’s launched in the hotel industry for the hotel price comparison. The website that claims to be the largest hotel search site receives an incredible amount of 1.4 billion visits every year. Moreover, trivago has websites in 50+ countries which compare over 190 million hotel ratings and holds 14 million hotels’ photos by scanning 250 booking sites worldwide in a couple of seconds. 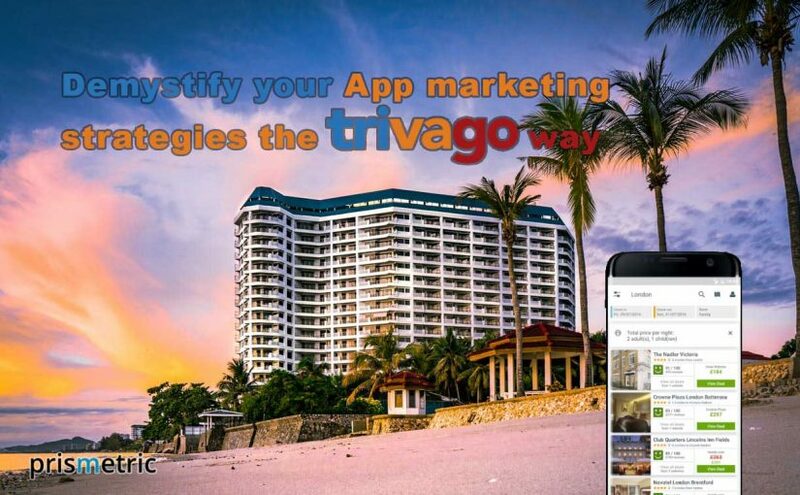 Taking a step ahead, the company has launched trivago mobile app for both iOS and Android platform, wherein the app allows the people to search the hotel, locate the hotel with interactive maps and show the results for the hotels in the close proximity. The app is also regarded as the best app to book stay, and save some dollars. It is widely known as a precious time saver for holiday planning by some of the leading publications. Undoubtedly, trivago has earned a lot from accolades to the dollars in a short tenure, which is appreciating, but at the same time, it raises the inquisitiveness of knowing how the brand has made it possible. Well, there is an interesting tale behind the tremendous growth and terrific attention that the brand has managed to gain. In 2009, the company planned to leverage Adwords to establish itself as a global brand for the travelers that brought immense success to the brand. 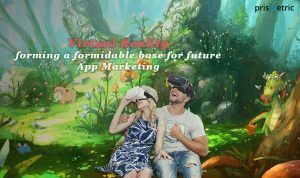 Later, the company wants to supplement the strategy to increase the brand awareness in the new and matured markets through the expansion of long tail keyword coverage and driving traffic at beneficial CPA. Here, dynamic search ads (DSA)to the rescue. The automated solution in a matter of minutes crawled all the websites, identified the targets and recommended the search terms for the first DSA campaign that’s launched in 50+ markets. The auto-generation of the customized ads based on the person-specific search enables Trivago to reach the right user at the right time with the right ad. This way, within a few weeks, multiple marketing campaigns are launched that brought the impressive result of 140% high CTR on DSA search terms, lower CPA in the matured markets and significant conversion gains in the newer markets. “The results have led us to make DSA campaigns a core part of our online marketing strategy, and we’re now optimizing them for even better results,” said Mr. Maren Alke, Global SEM, trivago. Till 2008, Trivago is completely relied on the digital marketing campaigns to drive search engine traffic, but the company has realized it’s not enough to sustain in the market. It gives birth to the TV advertising phenomena. The experimentation with video advertising made the company standing as the top advertiser across the globe by making a large investment of $440 million in the sales and marketing. The video advertising ranges from showcasing the essence of the platform to sharing Trivago customer’s experience to the display of a broad spectrum of Trivago’s ever-increasing offerings. You have certainly remembered the trivago woman and trivago guy ads. According to trivago, in 2015, the advertising cost was 88% of the total revenue in America, 131% in Europe, and 114% in the rest of the world. Initially, in the A/B testing stage, the earnings were less, even sometimes more than what was earned. It’s a gigantic risk that the company has taken, but video campaign performance is monitored regularly and changes are reflected off the bat to make the strategy rewarding in the later stage. Looking back a year, in 2017, the decision to advertise on billboard and poster format has really paid off for the brand. The ad campaign in London has a positive impact on the brand perception and the brand awareness. The advert campaign breaking the rules of conventional advertising worked and well rewarded. According to YouGov ad awareness metric, a remarkable rise from 27% to 42% is marked in the Trivago brand awareness in London. In addition, when the figures of Trivago against its competitors are cited in terms of brand awareness in five top markets, then trivago stands high with a whopping figures of 86% in Germany, 79% in France, 89% in Spain, 77% in Australia and 92% in Italy. In reality, Trivago makes millions of dollars by teaming up with the advertising partners leveraging cost per click (CPC) model. The hoteliers, booking platforms and other providers who want to list down the rates and advertise on the site, pay Trivago when any user click on the advertisement or link. The bidding model for the advertisers is lean and transparent where no negotiation is made on the pre-defined rates. The business model is modified in 2015, where the CPC bidding is enabled at the property level, which allows the hotels to create their bidding strategy, instead of making a selection from the pre-set bidding options. With advertising and booking services, the company enables the hoteliers to promote and compete for the services. However, in this attempt, trivago won’t forget that the underlying idea behind the establishment of the company that’s the search for the hotel at the best price. To give a complete focus on the search stage that comes at first in the travellers’ booking journey, the ‘book on Trivago’ option is overlooked by the company. The single focus on enhancing the search experience is to remove the confusion for the users when they browse Trivago. Going ahead, with metasearch, the hotel market will be more transparent, more option for the hotel to choose, better prices, more availability and much more. This way the user experience is improved and they are turned into loyal users. Trivago is a marketing channel that closes the gap between hotel’s offerings and the customer’s expectations, increases both indirect and direct bookings for the hotels through the Trivago Hotel Manager PRO. The system arm the hoteliers with the demographic information and the needs of all the customers, which in turn let them optimize their presence on trivago and apply customer-oriented techniques. Also, the hoteliers can update their profile on Trivago with the Trivago hotel manager to show the guest that the hotel is meeting their expectations. The offerings can also be promoted and hotels can differentiate themselves by publishing hotel news using hotel manager pro. 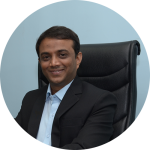 In addition, the hotels can capture the attention of huge travellers and drive more direct bookings to the hotels along with improved visibility. Furthermore, the resources also reported that active usage of trivago Hotel Manager PRO has brought a 28 percent increase in clicks and three times more clicks to the official hotel website when the hotel profile is edited. 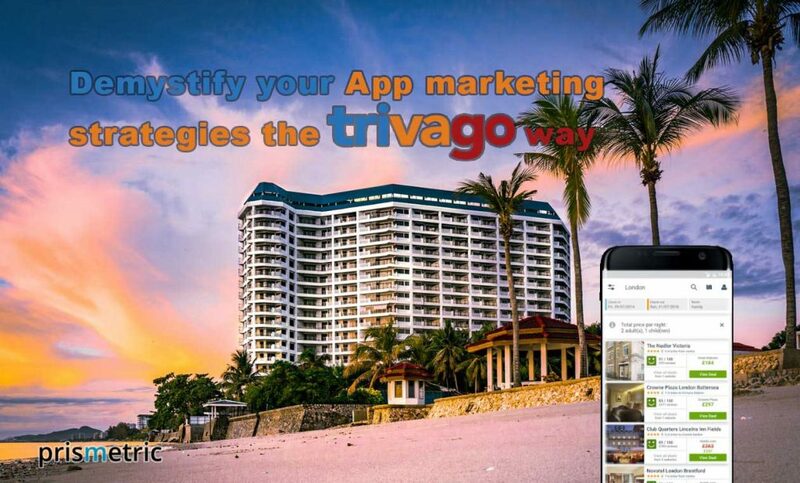 Trivago was a one-of-a-kind app when it makes its way to the hotel industry, and it sets its high benchmark breaking the shackles of traditional marketing. 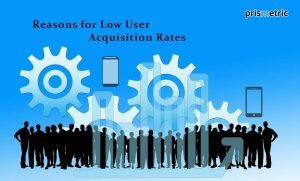 The brilliant app marketing strategies along with great big data insights have taken the brand to the top of the funnel and complemented with traffic at the peak and a large sum of revenue. Do you have a burning desire for your hotel and travel app to take it to the new heights? If so, look at the aforementioned tips illustrating how trivago marketing plans, adaptability to the changing trends, experimentation, and understanding the customer’s needs helped them go a long way. 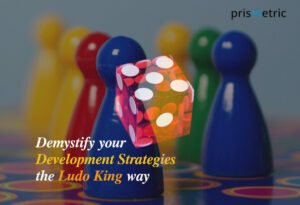 When the same strategy or small tweaks in the strategy solve the challenges that your app is facing, then cuddle the changes warmly and implement them.